Say what? Editor-in-Chief Jeryl E. Spear wants to titillate your orbitofrontal cortex. Redken introduces Color Rebel Naturals temporary hair makeup that looks like permanent color and won’t rub off or brush out of the hair. Turn your Instagram page into a rich source of new clients. 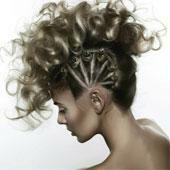 The Hair Expo Awards 2015 for Australia and New Zealand reveals astounding hair talent. 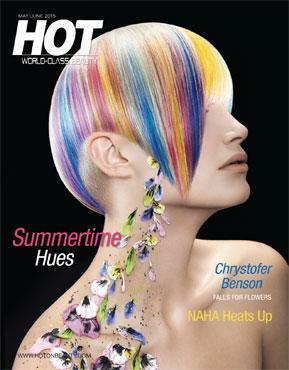 HOT beauty magazine celebrates the most thrilling images submitted for NAHA 15. 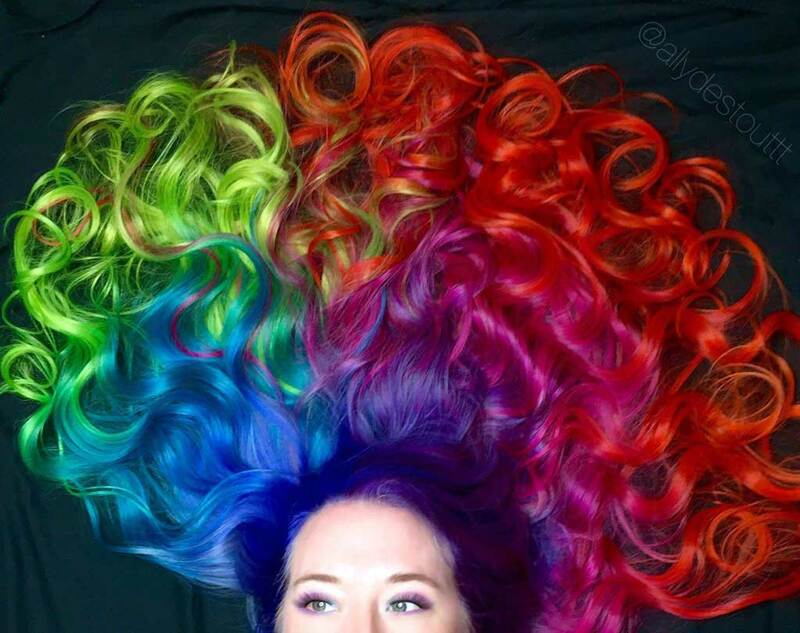 Chrystofer Benson, Matrix Artistic Director and multi-time NAHA winner, artfully melds vivid hair colors with fresh flowers to create a kaleidoscope of high-powered hair designs. Get your shopping fi x with these new styling aids and color releases. Hint: Summer waves have never looked better! Learn how to get your clients to write great online reviews; great tips for dealing with negative posts on review sites. Chrystofer Benson creates a floral bouquet of hair colors for our cover and inside Headliner collection; the #1 Creative Team invites you to take a breath; and Emilie Plume delves into the strange beauty of clairvoyants. With the 26th annual NAHA event right around the corner, we’re sharing some of the most outstanding images entered in this year’s competition. You asked for it and you got it. After over 100 requests for this step-by-step, HOT revisits Ann Bray’s amazing hair rose. 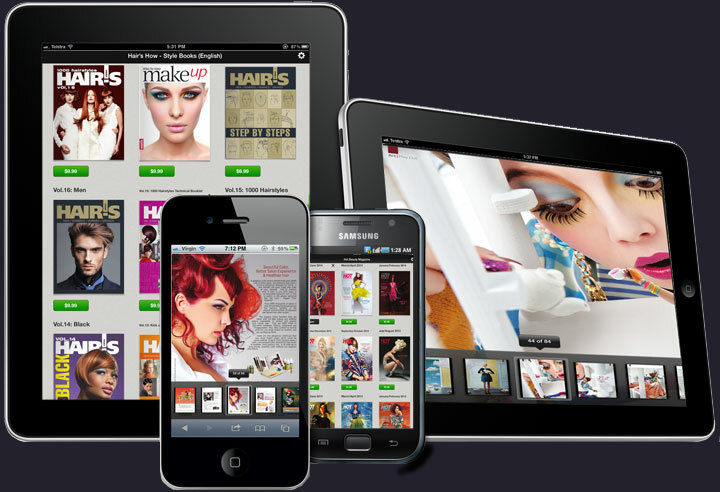 May/June 2015, HOT by HAIR'S HOW Magazine is published bi-monthly for $24 a year by Stanford Trident Inc., 5645 Coral Ridge Drive #131, Coral Springs, FL 33076-3124. Canada—add $10.00 per year; all other countries—add $40.00 per year for postage and GST.